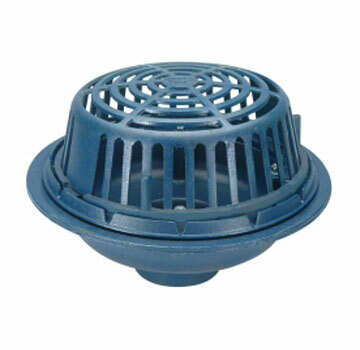 Zurn ZC100-4NH 15 inch Diameter Main Roof Drain, Low-Silhouette Cast Iron Dome, No-Hub 4-inch Outlet (-4NH). Price/Each. Shipping Leadtime: 1 business day.